The commercial in the video below is a strange and fanciful one. In it, Nike claims that it collects the “air” of the best athletes in the world and makes it available to you in their Nike Air shoes; but what it promises is something that only God can deliver. Unfortunately, as Scripture rightly notes, our air or breath is passing: What is your life? You are a mist that appears for a little while and then vanishes (James 4:14). The Lord God formed a man from the dust of the ground and breathed into his nostrils the breath of life, and the man became a living being (Gen 2:7). The Spirit of God has made me; the breath of the Almighty gives me life (Job 33:4). This is what the Sovereign LORD says to these dry bones: I will make breath enter you, and you will come to life (Ez 37:5). And when Jesus had said this, He breathed on them and said to them, “Receive the Holy Spirit. If you forgive the sins of any, their sins have been forgiven them; if you retain the sins of any, they have been retained” (John 20:22-23). stood up! Terror struck all who were staring at them (Rev 11:11). All Scripture is God-breathed and is useful for teaching, for reproof, … (2 Tim 3:16). By the word of the Lord the heavens were made, and by the breath of his mouth all their host (Ps 33:6). What this Nike ad promises, only can God deliver. He is the true “Nike.” (In Greek mythology, Nike was the goddess of victory.) God’s breath gives us new life and empowers us to new things. Ruah Adonai (the Breath of God) gives life, empowers us, and bestows upon us new strength. Come, Holy Spirit! Come, Holy Breath of God! Nike makes fine shoes, but God is the author of all that is fine. One of the quirks of the post-conciliar liturgy is that the octave of Pentecost was dropped. Generally, the post-conciliar age has tried to emphasize the gifts and works of the Holy Spirit, so eliminating the octave of Pentecost is quite paradoxical. The Feast of Pentecost ranks right up there with Easter and the Nativity, both of which have an octave, yet the octave of Pentecost fell away. And thus on the Monday after Pentecost we are back to ordinary time and green vestments. However, priests have the option (which I intend to exercise) of celebrating votive Masses of the Holy Spirit for every day possible from now until next Monday. On the blog this week I hope to reflect a bit on the Holy Spirit and His role in quickening the Church and empowering her for her mission of making disciples from all the nations. In today’s post I will consider some of the biblical images for the Holy Spirit, and in so doing, strive to learn more about what God the Holy Spirit does for us. These descriptions do not simply reduce the Holy Spirit to fire, water, or tongues. Rather, the Holy Spirit is described as being like these things, but also greater than they are. Wind – Scripture says, When the day of Pentecost arrived, they were all together in one place. And suddenly there came from heaven a sound like a mighty rushing wind, and it filled the entire house where they were sitting (Acts 2:1). Note that the text speaks of the Spirit as being like a mighty rushing wind. It but does not say He is a mighty rushing wind. For indeed, the Holy Spirit cannot be reduced to mere physical things, even if He is like them. This text brings us to the very root meaning of the word “spirit.” Spirit refers to breath. This is preserved in the word “respiration,” which is the act of breathing. So, the Spirit of God is the breath of God, the Ruah Adonai (the Spirit, the breath of God). Genesis 1:2 speaks of this, saying, the Spirit (ruah) of God was moving over the face of the waters. Genesis 2:7 speaks even more remarkably of something that God did only for man (not the animals): then the LORD God formed man of dust from the ground, and breathed into his nostrils the breath of life; and man became a living soul. So the very Spirit of God was breathed into Adam! But, as we know, Adam lost this gift and died spiritually when he sinned. And thus we lost the Spirit of God and died spiritually. St. Paul says plainly that we were dead in our sins (cf Col 2:13). Thus we see in this passage from Acts an amazing and wonderful resuscitation of the human person, as these first Christians experience the rushing wind of God’s Spirit breathing spiritual life back into them. God does CPR and brings humanity, dead in sin, back to life! The Holy Spirit comes to dwell in us once again as in a temple (cf 1 Cor 3:16). And thus this image of the rushing wind reminds us that the Holy Spirit brings us back to life and sustains us. If Christmas is the feast of God with us, and Good Friday is the Feast of God for us, then Pentecost is the Feast of God in us. The Holy Spirit, like a rushing wind, breathes life back into us. Fire – Scripture says, And tongues, like flames of fire that were divided, appeared to them and rested on each one of them. Moses saw God as a burning bush. God led the people out of Egypt through the desert as a pillar of fire. Moses went up onto a fiery Mt. Sinai where God was. Psalm 97 says, The LORD reigns; let the earth rejoice; let the many coastlands be glad! Clouds and thick darkness are round about him; righteousness and justice are the foundation of his throne. Fire goes before him, and burns up his adversaries round about. His lightnings lighten the world; the earth sees and trembles. The mountains melt like wax before the LORD, before the Lord of all the earth. The heavens proclaim his righteousness; and all the peoples behold his glory. Scriptures call God a Holy fire, a consuming fire (cf Heb 12:29) and a refining fire (cf Is. 48:10; Jer 9:7; Zec 13:9; & Mal 3:3). And so it is that our God, who is a Holy Fire, comes to dwell in us through his Holy Spirit. And as a Holy Fire, He refines us by burning away our sins and purifying us. As Job once said, But he knows the way that I take; when he has tested me, I will come forth as gold (Job 23:10). Fire changes everything it encounters. Nothing goes away from fire unchanged. It is consumed, converted, purified, warmed, mollified, or steeled—but nothing goes way from fire unchanged. And thus God the Holy Spirit, like a Holy Fire, is within us. It is changing and transforming us, burning away sin, refining us, enlightening us, stirring the flame of God’s love in us, and bringing us up to the temperature of God’s glory. He is kindling a fire that gives light and warmth in our darkest and coldest moments. Little by little we become a burning furnace of God’s love and we give warmth to those around us. As fire, God is also preparing us for judgement, for if He is a Holy Fire, then who may endure the day of His coming or of going to Him? What can endure the presence of Fire Himself? Only that which is already fire. Thus we must be set afire by God’s love. So, in the coming of the Holy Spirit, God sets us on fire to make us a kind of fire. In so doing, He purifies us and prepares us to meet Him one day, to meet Him who is a Holy Fire. Tongues – The Fire is described as tongues. And thus we learn that one of the chief fruits of Spirit is to help us witness to others. What is a witness? A witness is one who speaks of what he has seen, heard, and experienced. You will be my witnesses in Jerusalem, and in all Judea and Samaria, and to the ends of the earth. (Acts 1:8). You are witnesses of these things. I am going to send you what my Father has promised; but stay in the city until you have been clothed with power from on high (Luke 24:48-49). When the Advocate comes, whom I will send to you from the Father—the Spirit of truth who goes out from the Father—he will testify about me. And you also must testify, for you have been with me from the beginning (John 15:26-27). Thus the spirit comes as tongues in order to strengthen us for our mission, for witness. And, oh, how this witness is needed today! Evil has triumphed because the good have remained silent; pulpits have been silent; parents have been silent. The tongues of fire remind us that God wants bold and fiery saints who are courageous witnesses in a doubting, deceitful, scoffing world. Many martyrs have died courageously, yet many of us are afraid that someone might merely raise an eyebrow at us. Pray for the courage of tongues, the courage to speak. On the last and greatest day of the festival, Jesus stood and said in a loud voice, “Let anyone who is thirsty come to me and drink. Whoever believes in me, as Scripture has said, rivers of living water will flow from within them.” By this he meant the Spirit, whom those who believed in him were later to receive. Up to that time the Spirit had not been given, since Jesus had not yet been glorified (John 7:37-39). Jesus said, “It is finished.” With that, he bowed his head and gave up his spirit. Now it was the day of Preparation, and the next day was to be a special Sabbath. Because the Jewish leaders did not want the bodies left on the crosses during the Sabbath, they asked Pilate to have the legs broken and the bodies taken down. The soldiers therefore came and broke the legs of the first man who had been crucified with Jesus, and then those of the other. But when they came to Jesus and found that he was already dead, they did not break his legs. Instead, one of the soldiers pierced Jesus’ side with a spear, bringing a sudden flow of blood and water. The man who saw it has given testimony, and his testimony is true. He knows that he tells the truth, and he testifies so that you also may believe (John 19: 30-35). In this flow of water, the Spirit comes forth in a kind of Johannine Pentecost. It is a classic Johannine play on words that he relates that Jesus “gave over his Spirit,” a phrase that can mean that he died or that he gave us of his Holy Spirit. The Fathers of the Church also see water as a fitting image for the Spirit. Irenaeus said, Like dry flour, which cannot become one lump of dough, one loaf of bread, without moisture, we who are many could not become one in Christ Jesus without the water that comes down from heaven. And like parched ground, which yields no harvest unless it receives moisture, we who were once like a waterless tree could never have lived and borne fruit without this abundant rainfall from above. Through the baptism that liberates us from change and decay we have become one in body; through the Spirit we have become one in soul … the devil had been cast down like lightning. If we are not to be scorched and made unfruitful, we need the dew of God (Against the Heresies Lib. 3, 17. 1-3: SC 34, 302-306). Cyril of Jerusalem said, But why did Christ call the grace of the Spirit water? Because all things are dependent on water; plants and animals have their origin in water. Water comes down from heaven as rain, and although it is always the same in itself, it produces many different effects, one in the palm tree, another in the vine, and so on throughout the whole of creation. It does not come down, now as one thing, now as another, but while remaining essentially the same, it adapts itself to the needs of every creature that receives it. In the same way the Holy Spirit, whose nature is always the same, simple and indivisible, apportions grace to each man as he wills. Like a dry tree which puts forth shoots when watered, the soul bears the fruit of holiness when repentance has made it worthy of receiving the Holy Spirit. Although the Spirit never changes, the effects of this action, by the will of God and in the name of Christ, are both many and marvelous. The Spirit makes one man a teacher of divine truth, inspires another to prophesy, gives another the power of casting out devils, enables another to interpret holy Scripture. The Spirit strengthens one man’s self-control, shows another how to help the poor, teaches another to fast and lead a life of asceticism, makes another oblivious to the needs of the body, trains another for martyrdom. His action is different in different people, but the Spirit himself is always the same. In each person, Scripture says, the Spirit reveals his presence in a particular way for the common good (Cat. 16, De Spiritu Sancto 1, 11-12.16: PG 33, 931-935. 939-942). And thus this is another fundamental image of the Holy Spirit. For all things are dependent on water to sustain their existence as well as to activate and empower their gifts. I cannot speak more profoundly than did these two saints and Fathers, so I will let their words suffice. and the Holy Spirit descended on him in bodily form like a dove. And a voice came from heaven: “You are my Son, whom I love; with you I am well pleased (Luke 3:22). Again, note the use of simile and analogy here. The Holy Spirit is not a bird or a body of any sort. Rather He is seen in bodily form like a dove. The Holy Spirit is God; He is the Third Person of the Holy Trinity. After forty days Noah opened a window he had made in the ark and sent out a raven, and it kept flying back and forth until the water had dried up from the earth. Then he sent out a dove to see if the water had receded from the surface of the ground. But the dove could find nowhere to perch because there was water over all the surface of the earth; so it returned to Noah in the ark. He reached out his hand and took the dove and brought it back to himself in the ark. He waited seven more days and again sent out the dove from the ark. When the dove returned to him in the evening, there in its beak was a freshly plucked olive leaf! Then Noah knew that the water had receded from the earth (Genesis 8:6-11). The dove announced to Noah that the bitterness and death that overwhelming sin had brought was now at an end. The dove brought Noah a sign of peace and a sign that the promise of God to cleanse the world was now fulfilled. Noah, having passed through the flood within the safety of God’s ark, may walk in newness of life. And so, too, for us. In the Holy Spirit is peace, is shalom. The long reign of sin is ended and grace is now available to us. And we, too, having passed through the waters of baptism, may walk in newness of life. The Holy Spirit descends on us like a dove, bringing peace, promise, and every good grace. And thus we have these five images to ponder the Holy Spirit’s work in us. Surely there are other images and other ways of describing His work, but these five speak powerfully to us for now. Please feel free to add your own reflections. As you may recall, there are seven Gifts of the Holy Spirit: Wisdom, Understanding, Knowledge, Counsel, Piety, Fortitude and Fear of the Lord. Most Catholics cannot define them well in any sort of articulate way. This is due to poor catechesis but also to the fact that modern English has tended to use several of these terms interchangeably, almost as synonyms, though they are distinct theologically. There are also secular usages of these terms that have no correspondence to how we mean them theologically. To indicate intellectual understanding of something, a person in modern English may say, “I know” or they may say “I understand.” To most modern Anglophones this is a distinction without a difference. To speak of someone as being of great intelligence, a contemporary English speaker might say, “He has great understanding” or “He is a wise man” or yet again, “He is possessed of great knowledge.” Here too most would not think of these as dramatically different sentences. There are shades of meaning in calling a man wise versus smart or knowledgeable but most modern speakers are losing what those shades of difference actually are. For all these reasons (poor catechesis, secular misuse and evolving language) Catholics have a hard time distinguishing between Knowledge, Wisdom and Understanding. Let’s try to repair some of the damage. We are discussing here the Gifts of the Holy Spirit. As such they are given to the baptized and strengthened in confirmed. They exist only in the Christian per se. A man may be said to be knowledgeable in the repair of a car or in the stock market, but we are not referring to the Gift of Knowledge given by the Holy Spirit in this case, only to worldly knowledge. A woman may be said to be wise in the ways of the world. But again, we are not referring to the Gift of Wisdom given by the Holy Spirit when we speak in this way. A man may be said to understand Spanish, but we are not speaking of the Gift of Understanding given by the Holy Spirit when we speak in this way. Hence, there are worldly counterparts to these words which do not conform to the theological meaning of these realities. The Gifts of the Holy Spirit are supernaturaland thus they transcend the ordinary powers of the soul or the human person in general. They are infused by God and no soul could ever acquire them on its own. In these senses they are different from the virtues which can be acquired naturally and can be moved or actuated by man himself. In the caseof the Gifts, God is the unique mover and cause. Man is only the instrumental cause. Thus the acts which proceed from the gifts are materially human but formally divine just as the melody an artist plays on the harp is materially from the harp but formally from the musician who plays it. That the soul reacts or responds preserves freedom and merit but the soul merely seconds the divine action and can not take the initiative. Wisdom and knowledge are distinguished according to their objects. Wisdom pertains to God and the things of God. Knowledge pertains to created things and how they relate to our final end. Understanding too, meant here as the Gift of Understanding has a rather specific focus: It penetrates revealed truth to grasp its fullest meaning. Hence one may understand Spanish, but we are not referring to the Gift of Understanding in speaking this way. To grasp the purpose, meaning and implications of the redemption wrought by Jesus Christ would be a more proper usage of this word in terms of the Gift of Understanding. The Gift of Knowledge is a supernatural habit infused by God through which the human intellect, under the illuminating action of the Holy Spirit, judges rightly concerning created things as ordained to the supernatural end. Notice that it is a habit. That is, it does not come and go. But like all habits, it can and does grow in depth and breadth. Grace builds on nature, and as one matures and gains experience the Gift can and does make use of these human qualities. Because the gift is supernatural it is not a matter of human or philosophical knowledge deduced by natural reason. In other words you don’t go to school to get this gift. However, it is not unrelated to human development which school can provide. But this is not its origin. There are plenty of learned and humanly smart people who do not manifest the Gift of Knowledge. This can be due to a lack of faith or to resistance caused by weak faith and sin. By the Gift of Knowledge the human intellect apprehends and judges created things by a certain divine instinct. The individual does not proceed by laborious reasoning but judges rightly concerning all created things by a kind of superior gift that gives an intuitive impulse. I have underlined “created things” because this essentially distinguishes knowledge from wisdom (which pertains to Divine, rather than created things). Notice that the Gift is especially oriented to created things insofar as they pertain to our ultimate end. Now created things tend either toward our supernatural end or away from it and the Gift of Knowledge helps us to judge rightly in this respect. Looked at another way, the Gift of Knowledge helps us to apply the teachings of our faith to the living of daily life, the proper usage of material creation, knowing the proper utility and value of things as well as their dangers and misuses. By it we are able to determine well what conforms to faith and what does not. We are able to make use of creation in a proper way with necessary detachment and proper appreciation for what is truly good. The Gift of Wisdom is a supernatural habit, inseparable from charity, by which we judge rightly concerning God and divine things under the special instinct of the Holy Spirit who makes us taste these things by a certain intuition and sympathy. In other words The truths of God begin to resonate with us and we begin to instinctively love what God loves, will what God wills. What he is and wills makes great sense to us. His teachings clarify and make sense. We see things increasingly from God’s point of view through this supernatural gift. The thinking of the world increasingly seems as folly and appreciation of God’s Wisdom magnifies. More and more thorough this gift the human person desires to be in union only with God and His ways. By this gift the world is defeated and its folly clearly perceived. Our love of neighbor is also perfected by it since the Gift of Wisdom helps us to see and thus love others more and more as God sees and loves them. Since this is a gift, it cannot be learned or acquired. But, as with the Gift of Knowledge, one’s study of Scripture and Tradition can help dispose one for the growth of the Gift which can and does make use of what is humanly supplied. Grace builds on nature. The Gift of Understanding is a supernatural habit, infused by God with sanctifying Grace, by which the human intellect, under the illuminating action of the Holy Spirit, is made apt for a penetrating intuition of revealed truths, and even of natural truths so far as they are related to the supernatural end. It enables the believer to penetrate into the depths of revealed truth and deduce later by discursive thinking the conclusions implicit conclusions contained in these truths. It discloses the hidden meaning of Sacred Scripture. It reveals to us the spiritual realities that are under sensible realities and so that the smallest religious ceremonies carry tremendous significance. It makes us see causes through their effects simply and intuitively. This gives a profound appreciation for God’s providence. This song says, “Take My Life and Let it Be Consecrated Lord to Thee.” It goes on to consecrate the whole person to Christ, including the intellect and will. As such it is an invitation for the Seven Gifts to come fully alive. Last Wednesday, I attended ‘Breaking Open the Word’ at the Cathedral of St. Matthew the Apostle. (Visiting parish young adult community events is part of my new commitment to stay in tune with the young adults with which I minister. Many of my upcoming posts will illustrate these visits.) This is a weekly study group of young adults who get together each week to read the upcoming Mass readings and discuss how they relate to our lives today. As I entered the room cautiously and asked “Is this Breaking Open the Word?” I was warmly greeted by a young woman who sympathized, “This is my first time too!” Beside the two of us, there were four others who seemed to have known each other for a while. They shared the latest news (an engagement, a trip abroad, and a rehabilitation from an injury), and then we focused our hearts and minds by reading the Prayer to the Holy Spirit. Send forth your Spirit, and they shall be created. And You shall renew the face of the earth. Let us pray.O, God, who by the light of the Holy Spirit, did instruct the hearts of the faithful, grant that by the same Holy Spirit we may be truly wise and ever enjoy His consolations. Through Christ Our Lord. Amen. The upcoming Sunday was Pentecost which made recitation this prayer a meaningful. The name Pentecost is taken the Hebrew tradition marking the 50th day after Passover when the harvest was brought to the temple (the feast of First Fruits) and is celebrated as the day that Moses was given of the Torah at Mount Sinai. In the Christian tradition, Pentecost is celebrated as the coming of the Holy Spirit upon the Apostles. This reading sparked a conversation about speaking in tongues, called glossolalia. While we had heard of people speaking in tongues and some of us had been present at charismatic prayer services where participants spoke in tongues, we were unsure of Catholic teaching on glossolalia. 799 Whether extraordinary or simple and humble, charisms are graces of the Holy Spirit which directly or indirectly benefit the Church, ordered as they are to her building up, to the good of men, and to the needs of the world. 800 Charisms are to be accepted with gratitude by the person who receives them and by all members of the Church as well. They are a wonderfully rich grace for the apostolic vitality and for the holiness of the entire Body of Christ, provided they really are genuine gifts of the Holy Spirit and are used in full conformity with authentic promptings of this same Spirit, that is, in keeping with charity, the true measure of all charisms. This seemed to be a sufficient answer for the young adults in the room, that an authentic gift of glossolalia will work together in charity for the common good. We ended the evening by praying together the Psalm for the upcoming Sunday: Lord, send out your Spirit, and renew the face of the earth! The Following Video shows a choir of Young Adults Singing a song by Thomas Tallis called Loquebantur Variis Linguis The translation of the text is from Acts: The Apostles were speaking in Various tongues of the great works of God. Alleluia The frenetic quality of the song tries to capture the ecstatic moment when the apostles received the Holy Spirit! It is written in dance time. Here is a dramatic reading of the Pentecost reading from Acts 2. Liberties are taken with the text but it is still all basically there. Enjoy and heed. God wants to set this word on fire. But you and I are meant to be the tongues of fire. Vibrant prayer and singing, hands uplifted and enthusiastic preaching are all characteristics of the liturgies of the Catholic Charismatic Renewal. Within the Charismatic renewal is also an expectation of deep prayer and an intense love for Scripture and a serious acceptance of the call to conversion. The vibrant liturgies and prayer gatherings of this movement express an openness and powerful awareness of the presence of the Holy Spirit. 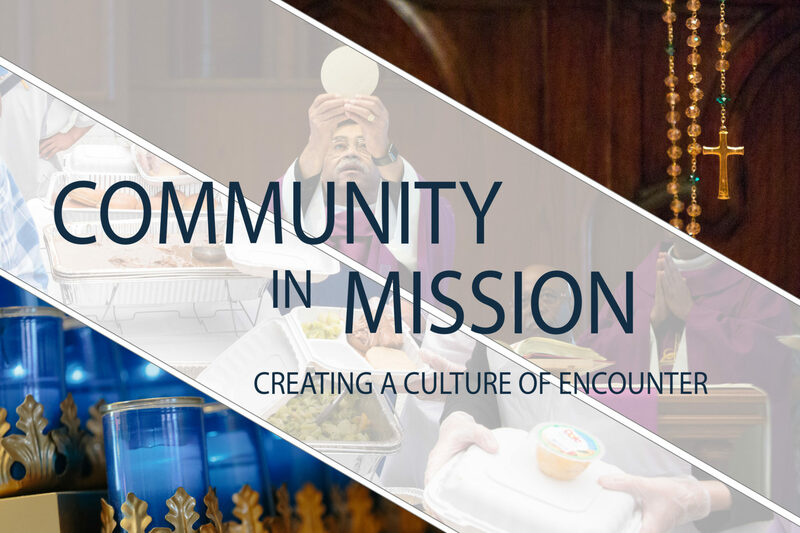 My own parish is predominately African American in membership and while we don’t use the word Charismatic to describe how we celebrate many, if not most of the elements are there. Vibrant music, exuberant gestures and acclamations by many in the congregation, animated preaching and the expectation that the Holy Spirit will surely manifest himself. And while not everyone shouts, not everyone stands or extends their hands, not everyone claps, but everyone makes room for the Spirit who will manifest Himself differently in each individual. Everyone has “permission” to be led by the Spirit.